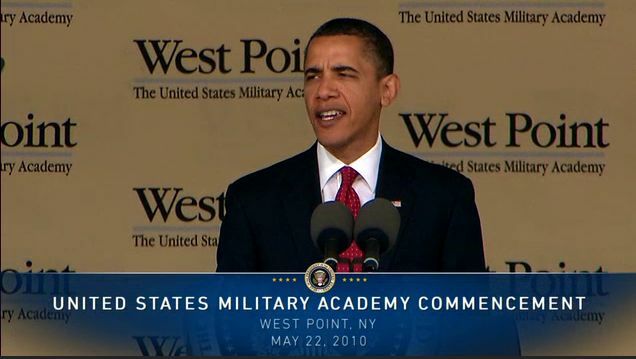 I began this Saturday column looking at President Obama's West Point speech. I should have made more of an issue of it. It's already become a classic case of leadership failure. Every successful politician struggles to reconcile two competing imperatives. The first – and most important – is retaining a grasp of the time-horizon in which they’re operating. It’s no good being ‘right’ about events far off in the distance when you’re confronted with immediate challenges. The second requirement is the ability to ‘sell’ a coherent, current message today that will, somehow, align with that vision of a far-off future. If a politician doesn’t have the ability to bring people – voters – along on the journey, they’ll hop off at the first stop. Examples of failure to align the time frame with a simple, resonant message result in disaster. Take Barack Obama. His presidency has still more than two and a half years to run and he’s almost had six years in which to carve out a legacy. Instead it’s now terminal. He’s shown no ability to turn an instinctive, intuitive capacity to reach out and inspire people into concrete achievements. And now even the message is discordant. This week he presented graduating cadets at the US Military Academy at West Point with their commissions. A simple set-piece engagement, yet one that offered a significant opportunity to re-define America’s place in the world. Instead he (implicitly) trashed the cadet’s efforts, informing them the US is, unilaterally, pulling out of Afghanistan. He then went on to tell them he hoped they’d never have to fight, anywhere, ever. Not bothering to value their readiness or ability, simply informing them their skills wouldn’t be required in future. It’s difficult to imagine a speech more designed to alienate a specific audience or confirm how emphatically he’s abandoned his original project to make the world a better place. What’s happened to the leader who once inspired the world? Obama’s message was both out of tune with the occasion but, far more seriously, utterly discordant with the current international environment. He might choose to pretend the current US withdrawal from Kabul is accompanied by accomplishment: it’s not. After a decade-and-a-half’s imbroglio in the region the hopes have turned to dust. There’s been no sudden flowering of democracy – at least the way Washington understands it. Obama even admitted he’d be boosting funding for the fractious (and often abhorrent) Syrian rebels, as if this is an achievement or something to be proud of. The reality is that the former superpower is in retreat; its values trashed. Crucially, Obama offers us no image of progress, however hesitant, towards a better world. This is critical, because across the world the idea of advancement is in crisis. Nationalist parties are basking in triumph after huge successes in the European Union elections. Editorial writers applaud Vladimir Putin’s apparent “strategic victory” in isolating the Ukraine and grabbing the Crimea. Russia and China give every appearance of again being firmly locked together as allies while Beijing is bellicosely challenging the status quo in the China Sea. In Thailand the military is (again) ruling unchallenged after seizing control for the second time in less than a decade. It’s a confronting period for those who like to comfortably believe that the story of history is one of progression; a process of evolution from bad to better; from the Dark Ages to the Renaissance. Unless our values are reinforced and nurtured they will die. There was no guarantee that the Berlin Wall would be brought down or that communism would collapse in Russia. One party rule survives in China while elsewhere religious zealotry pushes out diversity. Fundamental values underlie our society. Finding a way to recognise individual rights while balancing them with the needs of the community isn’t easy: that’s why people embrace doctrinaire answers, whether political, social or religious. It means they don’t have to think. Politicians leverage off voters’ unwillingness to do the hard work by promoting easy answers instead. That’s why Obama’s speeches have become cop-outs. He’s not offering a path into the future. Instead he’s simply regurgitating hopes without any convincing method of achieving them. In Europe, meanwhile, isolationism is on the ascendant and that’s because it’s easy. Tearing down doesn’t require a great deal of skill because it’s never particularly difficult to point out the flaws in the current arrangements. What’s problematic is finding a replacement for dogma that still manages to offer people a way to invest their lives with value. In the short-term we tell ourselves stories to make sense of daily life. But this doesn’t offer comfort over the longer term. That requires a vision that invests life with greater meaning and that won’t be found in money. That’s why Tony Abbott’s having such difficulty selling his Budget. Balancing the books and finding a way to write off the burden of debt is necessary, but there’s more to life than simply that. This bigger story is missing; the government’s not managing to push forward with some sort of overarching narrative, and yet this is a vital ingredient for any political message. That’s why the government’s having problems getting its story across. This problem will continue until it finds a way to reconcile the immediate with a vision for the future.